Check out Tobi's Winter Romance Oversized Sweater Dress Baby it's cold outside. Bundle up in the Blush Winter Romance Oversized Sweater Dress. You're going to swoon over this wrap front detail and the relaxed silhouette, absolutely perfect for talking a walk in chilly weather. Pair with your fav pair of leggings and boots. Baby it's cold outside. Bundle up in the Black Winter Romance Oversized Sweater Dress. You're going to swoon over this wrap front detail and the relaxed silhouette, absolutely perfect for talking a walk in chilly weather. Pair with your fav pair of leggings and boots. Baby it's cold outside. Bundle up in the Blush Winter Romance Oversized Sweater Dress. You're going to swoon over this wrap front detail and the relaxed silhouette, absolutely perfect for talking a walk in chilly weather. Pair with your fav pair of leggings and boots. Baby it's cold outside. 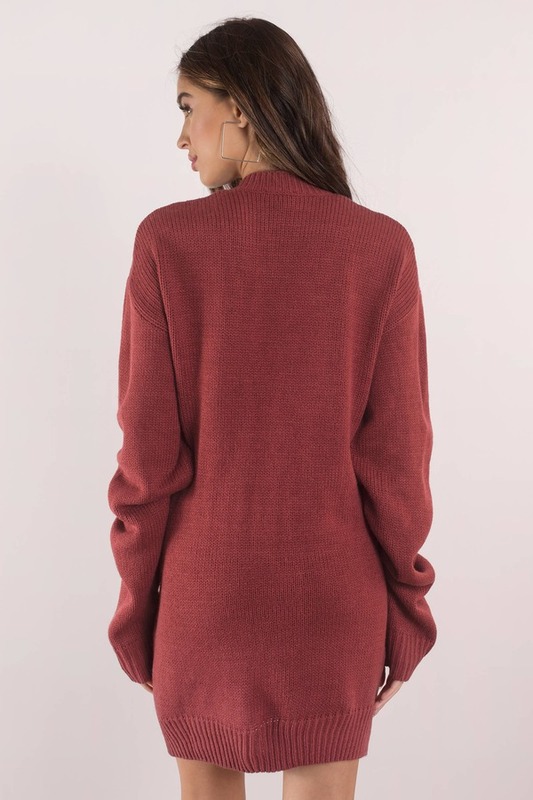 Bundle up in the Wine Winter Romance Oversized Sweater Dress. You're going to swoon over this wrap front detail and the relaxed silhouette, absolutely perfect for talking a walk in chilly weather. Pair with your fav pair of leggings and boots.